Comprehensive. Flexible. Affordable. Your AgEdNet.com subscription includes much more than just the lesson text. These lesson extras add even more value to AgEdNet.com curriculum materials. All lessons are matched to National AFNR Standards as revised in 2015. LEARN MORE. Lessons include prescreened internet resources for more in-depth information to supplement lesson topics. We now include video links when they are available. Exercises are homework assignments that vary by subject area. Many lessons now include a key concepts review worksheet. Every lesson includes an assessment in two versions: an online file or a printable Word version. Links to the assessment questions are only available at the top and bottom of each teacher's guide and require a teacher username and password. Assessment answers are included in the teacher's guide. Each lesson library has its own glossary defining important terms. 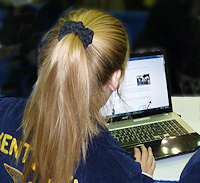 All lessons, news stories and timely topics articles are searchable with our AgEdnet.com search engine. Search results come exclusively from AgEdNet.com materials. A separate username and password protect the teacher's guide. It contains preparation suggestions, important terms and answers for exercises, puzzles and assessment questions.